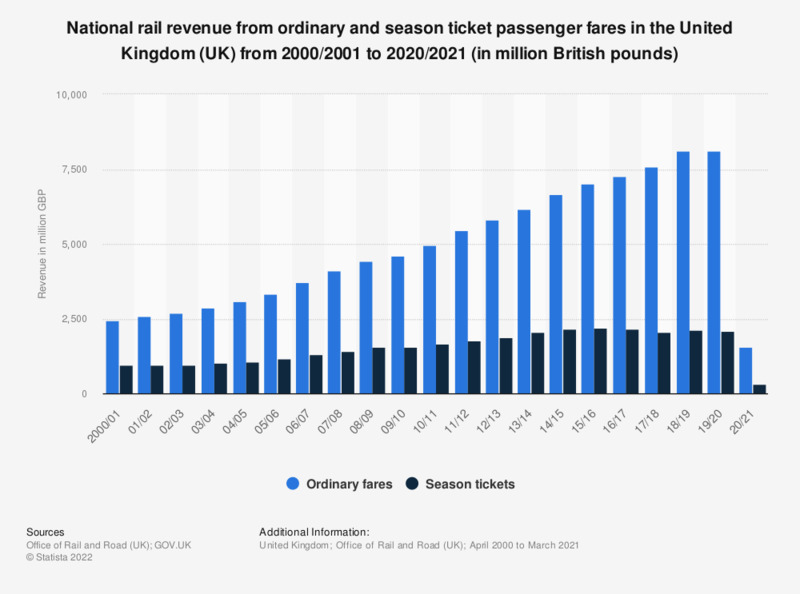 This statistic compares the revenue for United Kingdom (UK) national rail services from ordinary and season ticket fares between 2000/2001 and 2017/2018. A small part of the overall national rail fare revenue is made up from season tickets. In 2018 revenue from ordinary fares accounted to 7.6 billion British pounds, while season tickets provided nearly 2.1 billion British pounds in revenue.